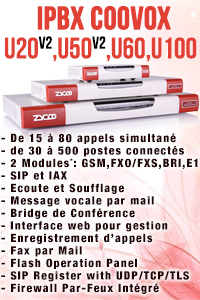 Zycoo ZX100-A16 IPBX 2,4,8,16 FXO jusqu’à 16 Line RTC ou E1 Accès primaire support de 30 a 80 appels simultanée a des prix imbattable. 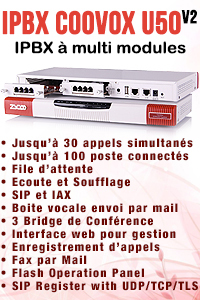 IPBX a 4 ou 8 ports FXO/FXS. The all-in-one ZX20 series of IP Phone System can not only provide the basic features of traditional PBX, but also advanced features such as visual voice mail, music on hold ,and auto attendant, etc. 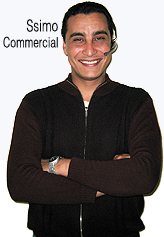 Server PBX Targeting for SOHO user and SMB market. Attractive black iron case with frosted surface. Embedded VOIP PBX server based on Asterisk. Support PPPOE/VPN/DDNS/NAT/SSH. 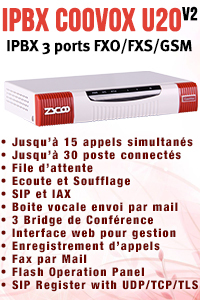 4 FXO(FXS) Ports. 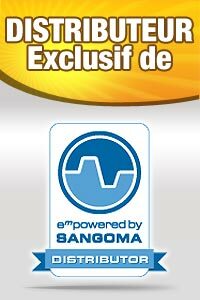 Unlimited extension register. Support 30 simultaneous calls. Server PBX Targeting for SOHO user and SMB market. Attractive black iron case with frosted surface. Embedded VOIP PBX server based on Asterisk. Support PPPOE/VPN/DDNS/NAT/SSH. 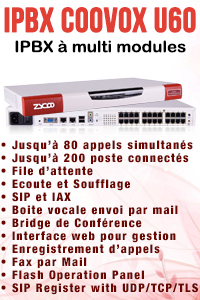 8 FXO(FXS) Ports. Unlimited extension register. Support 30 simultaneous calls. 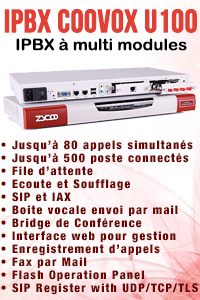 ZX50-AG42 est de 4 ports FXO et 2 antennes GSM analogiques IP PBX. Basé sur la plate-forme Asterisk Open Source avec une excellente fonction echo annulation.